Unfortunately, there are limited explanations or interpretations of when a latch on a hook must be utilized. With no clear industry-wide rules on whether a hook latch is required on a crane hook or a sling hook, the decision is ultimately left up to the owner or end-user. When deciding on whether to use a latch or not, careful consideration must be given to the specific lifting application. At Mazzella Companies, quality and safety are cornerstones of our success. 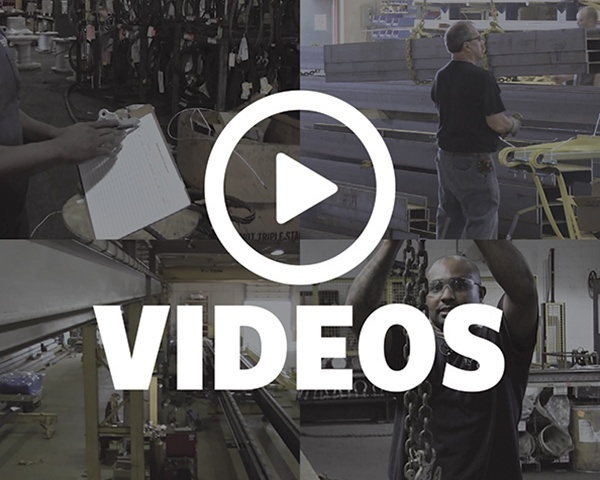 We provide our customers with user/operator training, rigging inspection and repair services, and we also make and distribute wire rope, chain slings, synthetic slings, and rigging hardware. 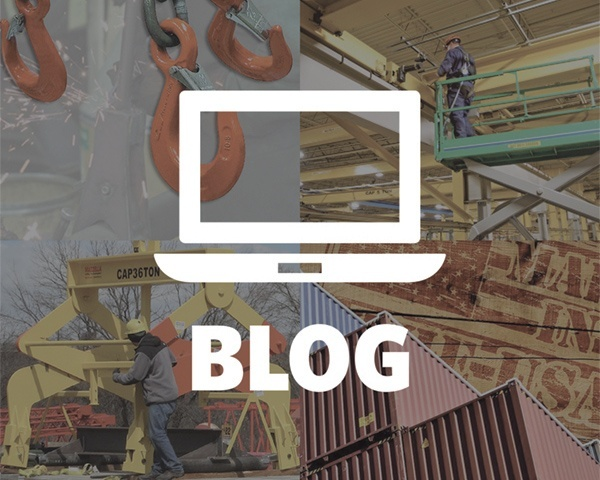 Our goal for this article is to provide you with the information that is available regarding the use of hook latches, as well as some interpretations that OSHA has provided in response to questions that have been asked of them. Please Note: As a company, we use the terms “hook latch” or “hooks with latches.” OSHA uses the term “safety latches,” so for the purpose of this article, we may use that term to summarize OSHA’s interpretations or standards. However, the term “safety” implies that the user will always be safe when lifting a load using a hook with a latch. It is always the responsibility of the end user or other designated or qualified person to inspect their rigging equipment and make sure that it is in proper working condition and rated for the specific task, prior to performing a lift. All hook manufacturers make products with or without latches. Some hooks are compatible with latch kits so that a latch can be added post-sale. Question: Is it mandatory for large crane hooks to have safety latches on them? If so, are older hooks without them “grandfathered”? Section 1926.550(g)(4)(iv)(B) states: Hooks on overhaul ball assemblies, lower load blocks, or other attachment assemblies shall be of a type that can be closed and locked, eliminating the hook throat opening. Alternatively, an alloy anchor type shackle with a bolt, nut and retaining pin may be used. This provision is intended to prevent personnel platforms from falling as a result of becoming accidentally unfastened from the hook. Section 1926.753(d) prohibits: Workers engaged in steel erection activities from being directly under a suspended load, with some exceptions. Where those exceptions apply (i.e., where workers are engaged in the initial connection of steel or employees are unhooking the load), specific criteria apply. One such criterion is the requirement for safety latches. A hook with another type of closing device, i.e., a hook with a spring-loaded gate or another type of safety hook that would provide the same level of safety as a safety hook with a self-closing latch. Neither the personnel platform nor the steel erection/working under load requirement has an exception for large hooks - the requirements apply irrespective of the size of the hook. Also, there is no "grandfather" exception for older hooks without safety latches. OSHA 1926.753(d) prohibits steel erectors from working directly underneath a suspended load unless self-closing latches or their equivalent are used to prevent components from becoming accidentally unfastened from the hook and falling on workers below. OSHA requires that "slings shall be securely attached to their loads." They recognize that the use of a hook with a latch is one way of securely attaching a sling to its load. Question: Does OSHA require the use of latches on hooks on slings? OSHA Response: Whether OSHA requires a safety latch on a sling hook depends on the activity for which the sling is being used. You are correct that although the standard for slings provides that "slings shall be securely attached to their loads," the section does not explicitly require that the hook is equipped with a safety latch (29 CFR §1910.184(c)(6)). Use of a hook with a safety latch would, of course, be one way of securely attaching a sling to its load. As you also noted, OSHA's standard for derricks does include an explicit requirement for latch type hooks: "Hooks shall meet the manufacturer's recommendations...and safety latch type hooks shall be used wherever possible." (29 CFR §1910.181(j)(2)(i) and 1910.181(j)(2)(ii)). The standard defines "safety hook" as "a hook with a latch to prevent slings or load from accidentally slipping off the hook." (29 CFR §1910.181(a)(29)). We would also call your attention to the following provisions in OSHA's maritime and construction standards: 29 CFR Part 1917, Marine Terminals, at 29 CFR §1917.45(e)(2) ("Crane hooks shall be latched or otherwise secured to prevent accidental load disengagement. "); 29 CFR Part 1918, Safety and Health Regulations for Longshoring, at 29 CFR §1918.66(e)(2) ("Crane hooks shall be latched or otherwise secured to prevent accidental load disengagement. "), and at §1918.81(b) ("Cargo handling bridles, such as pallet bridles, which are to remain attached to the hoisting gear while hoisting successive drafts, shall be attached by shackles, or other positive means shall be taken to prevent them from being accidentally disengaged from the cargo hook. "); and 29 CFR Part 1926, Safety and Health Regulations for Construction, at 29 CFR §1926.753(d)(2)(ii) (in specified situations, "Hooks with self-closing safety latches or their equivalent shall be used to prevent components from slipping out of the hook..."). The Occupational Safety and Health Act of 1970 also contemplates that, in the absence of a specific OSHA standard addressing a hazard, employers are required, by the statute's "General Duty Clause" (Section 5(a)(1)), to protect employees from serious recognized hazards. OSHA often considers the provisions of industry consensus standards, such as those published by the American National Standards Institute (ANSI) or the American Society of Mechanical Engineers (ASME), when evaluating whether a hazard is "recognized" and whether there is a feasible means of abating that hazard. One such provision that OSHA would consider is Section 2-1.14.5, Hooks, of ASME 30.2-2001, Overhead and Gantry Cranes: "Latch-equipped hooks shall be used unless the application makes the use of the latch impractical or unnecessary." OSHA states that “slings shall be securely attached to their loads.” They go on to explain that this does not explicitly say that the hook needs to be equipped with a latch, however, they do note that the use of a hook with a latch is one way to securely attach a sling to its load. OSHA’s standards for derricks does include an explicit requirement for latch-type hooks: “Hooks shall meet the manufacturer’s recommendations…and safety latch type hooks shall be used wherever possible. Cargo handling bridles, such as pallet bridles, which are to remain attached to the hoisting gear while hoisting successive drafts, shall be attached by shackles, or other positive means shall be taken to prevent them from being accidentally disengaged from the cargo hook. [Longshoring - §1918.81(b)]. Hooks with self-closing safety latches or their equivalent shall be used to prevent components from slipping out of the hook… [Construction - §1926.753(d)(2)(ii)]. OSHA states that in the absence of a specific OSHA standard addressing a hazard, employers are required, by the statute’s “General Duty Clause” (Section 5(a)(1)), to protect employees from serious recognized hazards. OSHA often considers the provisions of other industry standards, such as those by ANSI or ASME, when evaluations whether a hazard is “recognized” and whether there are feasible means of reducing that hazard. OSHA's "General Duty Clause" states that employers are required to protect employees from serious recognized hazards. OSHA may refer to this when a hazard is created by a lift where a hook without a latch is used. Question: …requesting clarification of the OSHA requirement for safety latches on lifting hooks. In March 1976, OSHA responded to a letter requesting clarification regarding latches. OSHA Response: The requirement for safety latches (AKA throat latches) is only specified in OSHA 1910.181(j)(2)(ii), which states that "Safety latch type hooks shall be used wherever possible." OSHA compliance officers may use the OSHA general duty clause identified as paragraph 5(a)(1) of the Williams-Steiger Act whenever a hazard is created by a hoisting operation where the hoist hook is not provided with a throat latch. The compliance officer may then support the 5(a)(1) citation by calling attention to 1910.181.(j)(2)(ii). A second alternative would be to cite the "General Duty Clause" 5(a)(1) and support it with the industry practice where the use of safety or throat latches is fairly common. OSHA may refer to the "General Duty Clause" whenever a hazard is created by a hoisting operation where a hook without a latch is used. Question: …requesting an interpretation of the term "closed hook" in OSHA Instruction STD 1-11.2B, paragraph F.2.c. OSHA Response: The Lifting Bridle Requirements in the above-referenced instruction refer to working platforms suspended from cranes used to hoist and suspend employees in unique work situations, when such action would result in the least hazardous exposure to employees. 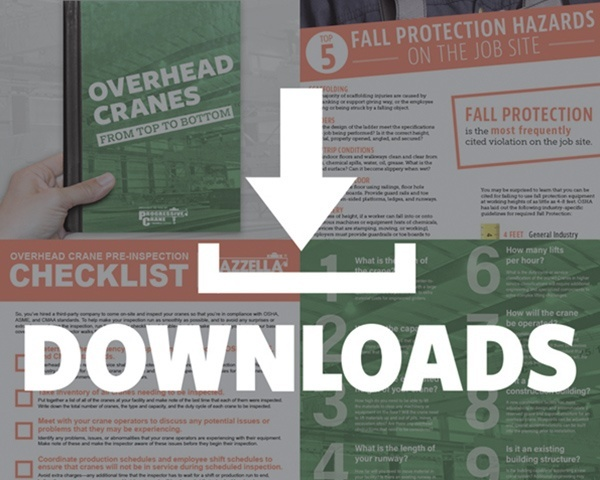 In order to permit employers to use crane-suspended work platforms, OSHA has determined that certain conditions must be met to ensure a greater degree of protection for employees. The lifting bridle on working platforms suspended from cranes for employee access or egress must be secured by a shackle or attached by a closed hook which cannot open due to the load position in the hook. Experience has shown that spring loaded safety latches can open with certain changes in the load position in the hook. Therefore, spring loaded safety latched hooks are not considered "closed hooks" for hoisting and suspending employees on a work platform. There are available and in use hooks that can be closed and locked which will not allow the load to escape should the load position shift in the hook. Use of this type of hook or of a shackle will ensure controlled conditions to permit employee hoisting. 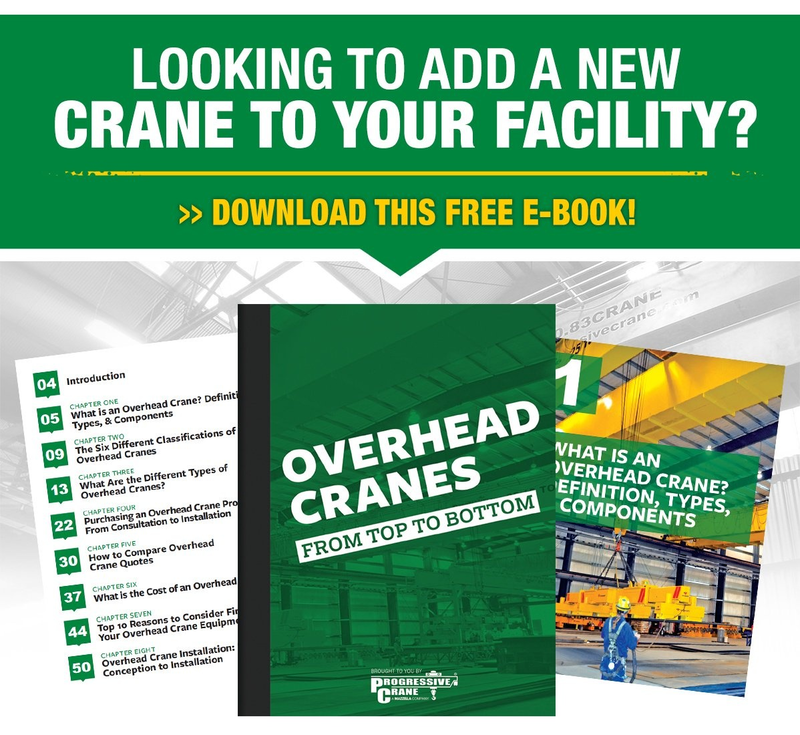 The requirements set forth in OSHA Instruction STD 1-11.2B are designed to further the protection of employees working on platforms suspended from cranes, and the proposed standard 29 CFR 1926.550(g) will reflect these attachment requirements. The lifting bridle on working platforms suspended from cranes for employee access must be secured by a shackle or attached by a closed hook which cannot open due to the load position in the hook. Spring-loaded latches can open with certain changes in the load position in the hook, and are not considered “closed hooks” for hoisting and suspending employees on a work platform. A hook that can be closed and locked will not allow the load to escape should the load position shift in the hook. Use of this type of hook or of a shackle will ensure controlled conditions to permit employee hoisting. Best practice is that a latch kit should be installed on any hook that is designed to have a latch. One such provision that OSHA would consider is Section 2-1.14.5, Hooks, of ASME 30.2- 2001, Overhead and Gantry Cranes: "Latch-equipped hooks shall be used unless the application makes the use of the latch impractical or unnecessary." We hope that this information was helpful. While there still are no clear-cut guidelines on the use of hook latches, Mazzella’s recommendation is that they should be used. We advise that the end user must evaluate the work activity with regards to the safety of their employees. If the activity makes the use of the latch impractical, unnecessary, or more dangerous, then the end user may choose to eliminate the latch. It is also recommended that each lifting activity is considered independently as far as the use of a hook latch is concerned. 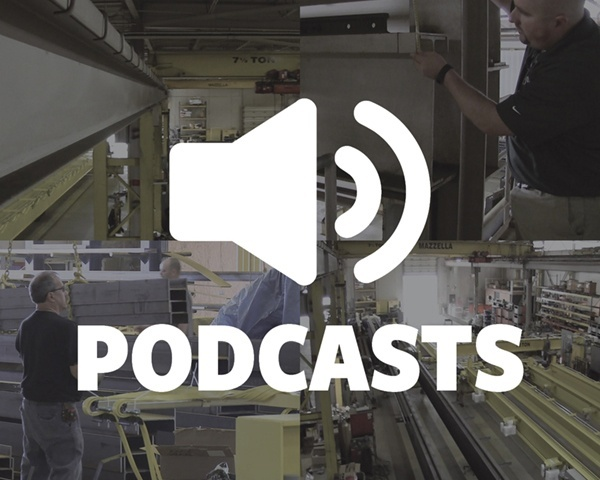 If you have any questions regarding the use of hooks with latches, please contact us and one of our lifting specialists or inspectors can schedule a time to come to your facility for a consultation and recommendation.